RightMessage makes it super simple to dynamically change literally anything on your website to match the unique needs of each visitor/prospect. Their visual editor lets you click on any element on your website and quickly change it. No coding required. 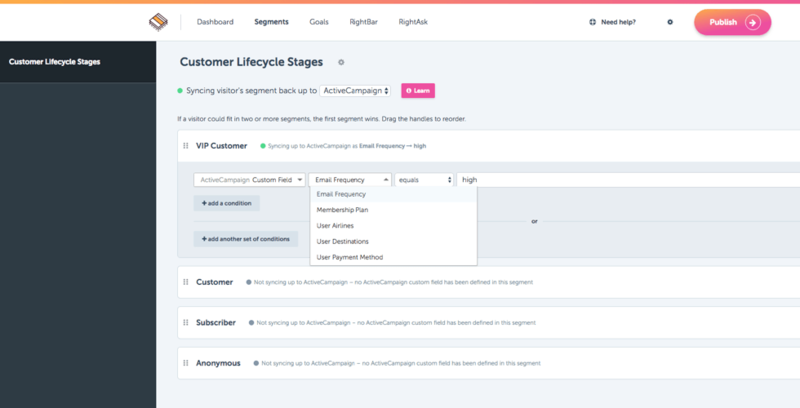 With RightMessage and ActiveCampaign, you can instantly change your content and calls-to-action based on data you have stored on your subscribers, how they’re behaving on your site, and/or where they are in your funnel.